There’s something about the kitchen. It’s the hub that makes a house a home. Ever notice how everyone congregates there when you have a party or dinner with friends? I think it’s the idea of the center-point that draws me in – it makes me want to add special touches to raise the interest level for those who gather there. These are four of my favorite kitchen accoutrements, some owned, some on my wish list. 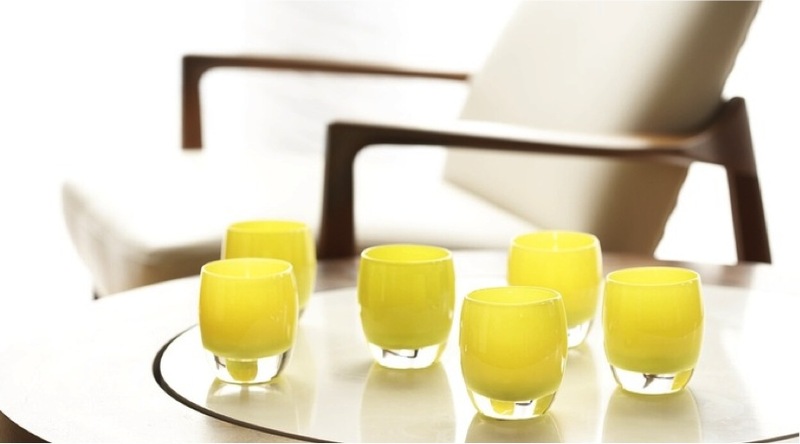 Glassybaby candle holders – Delightfully unique and hand-blown candle holders. Their tagline says it all: “One of a kindness.” Love that and love literally every single color. Right now, I’m lusting after “Roots” for a splash of lively yellow. Silver Cheese Markers – One of a kind, handstamped silver cheese markers. What a lovely addition to that perfectly arranged cheese plate. 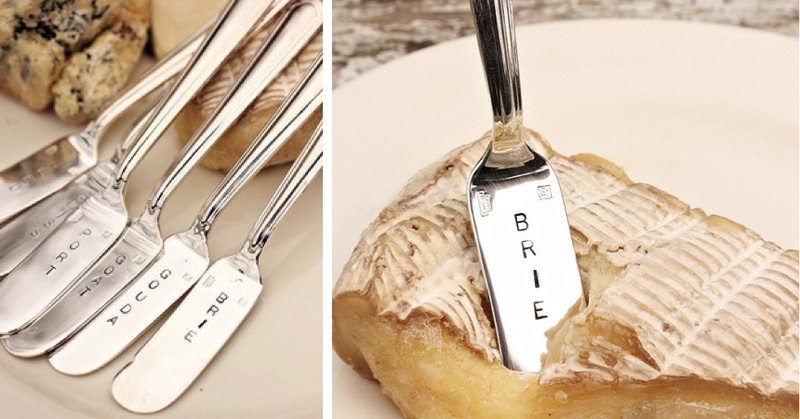 No more questions about kinds of cheeses, just the feel of silver in your hand and the craftsmanship of being handstamped. Painted Measuring Cups – My hub & kids gave me these for Mother’s Day. First thought: Too precious to use! Then I remembered my grandmother’s house and baking with her chipped measuring cups. Precious? Yes. 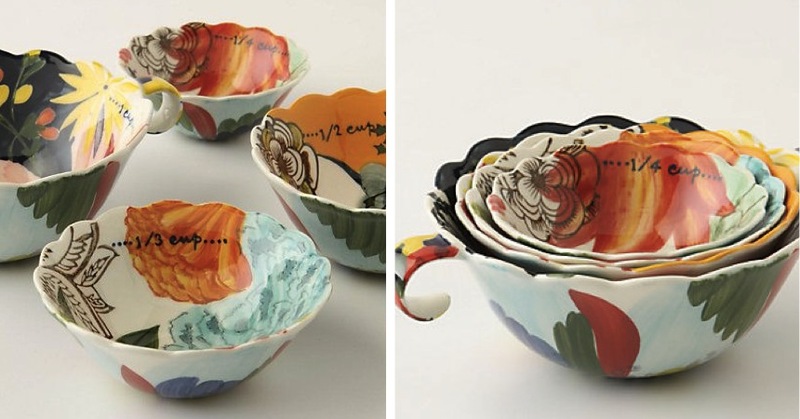 Precious memories worth the risk of chipping these whimsical hand-painted measuring cups. 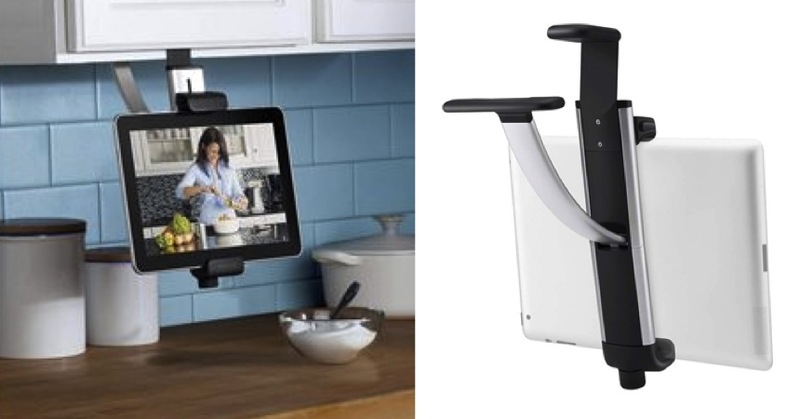 iPad Stand – Versatile stand for your iPad in the kitchen to reference all those Pinterest recipes for the perfect meal. I especially like this one because it can hold your iPad both vertically and horizontally, nice.